We believe in teaching self-defense, but there is so much more to the life lessons that Taekwon-Do can offer. Get to know us a little better to understand the values we hold most dear. 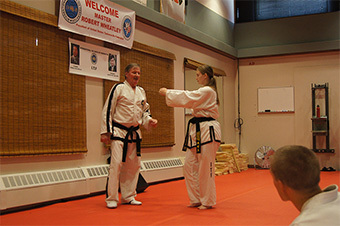 Orion’s Belt School of Self Defense is a member of the United States Taekwon-Do Federation (US-ITF) under the direction of Master Robert Wheatley. We are a family-oriented martial arts school that focuses on the traditional martial art of Taekwon-Do with a strong emphasis on self-defense. We truly believe that “the family that kicks together, sticks together.” We believe that Taekwon-Do teaches discipline, control, coordination, confidence and focus, and all of our classes place an emphasis on courtesy and respect. Our motto “Changing Lives, One Belt at a Time” is what we strive to do every day. 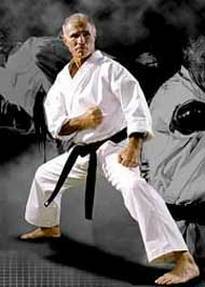 Bill Wallace retired as the undefeated Professional Karate Association (PKA) Middleweight Champion after defeating Bill Briggs in a 12-round bout in June 1980. The victory, Wallace’s 23rd straight, signaled the end to an illustrious 15-year career in tournament and full contact fighting. A former member of the President’s Council on Physical Fitness, Superfoot is one of the most sought-after instructors on the seminar circuit. Orion’s Belt is honored to be one of the schools that host Mr. Wallace to do seminars in Fairbanks, Alaska. Our team of enthusiastic instructors are I.T.F. certified Black Belts. We offer years of experience, patience, and teaching skills to help each student become the best that they can be.